I love the warms days of summer that we’re starting to enjoy, and after a long winter one of the things I love most is getting outside more. 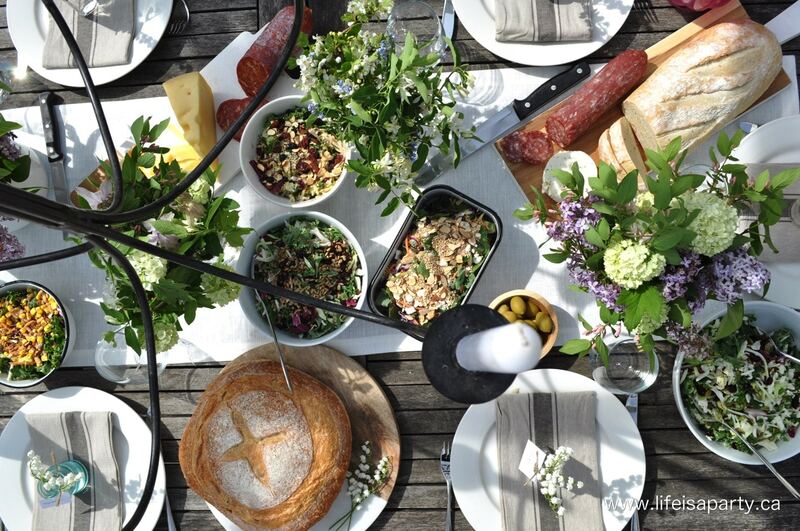 A sure sign of beautiful weather is eating outside again and enjoying Summer Backyard Picnics. 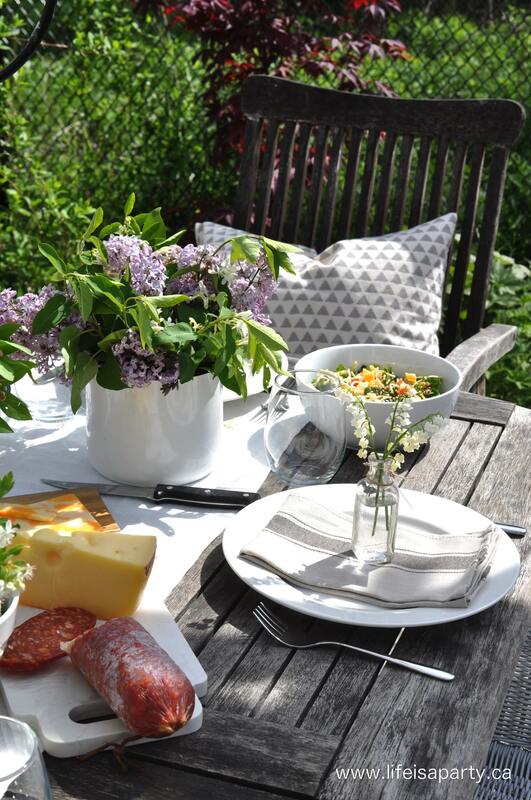 After a weekend of gardening, this easy, and yummy dinner was the perfect way to enjoy the sun and relax in our garden. We spent the day planting our veggie patch, working on planting flower containers for the deck, and weeding our perennial beds. 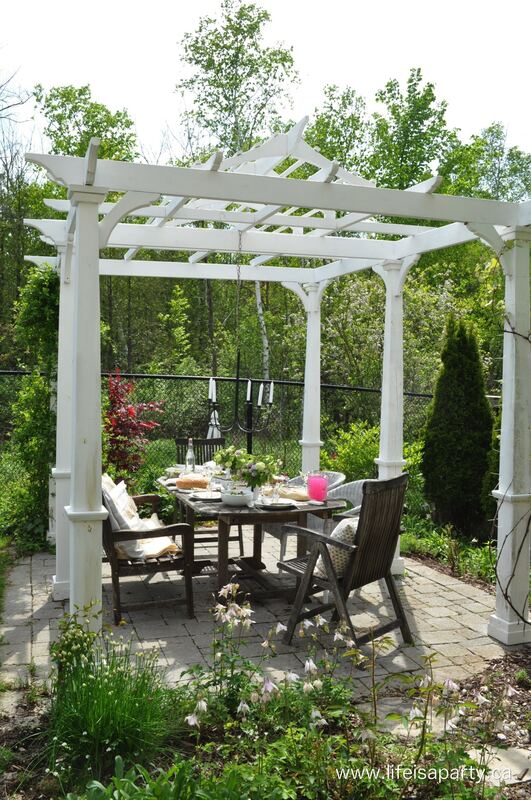 It was so nice to sit down together outside and enjoy the beauty of our garden along with our yummy dinner. 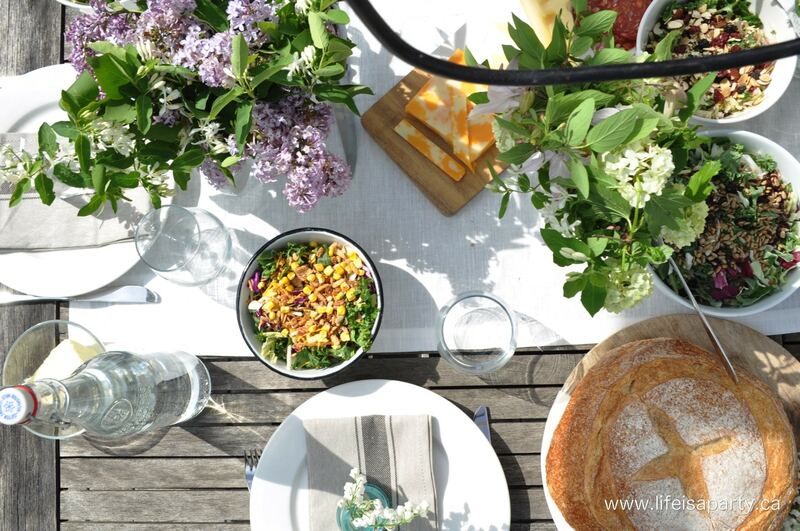 After all our hard work outside, I was happy for a an easy, no-cook summer meal, and a pretty table setting. I kept the table very simple with a pretty white linen table runner, white plates, and simple cotton napkins. I let some of the pretty summer flowers be the star of the show. 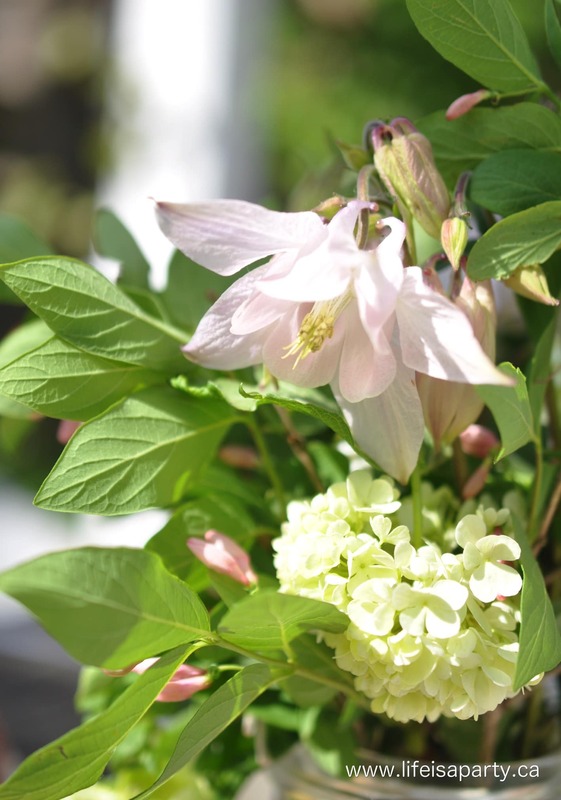 I gathered up some pretty blooms from our garden, like columbine and snowballs and added in some lilacs and flowering tree branches from a walk along a nearby country road. 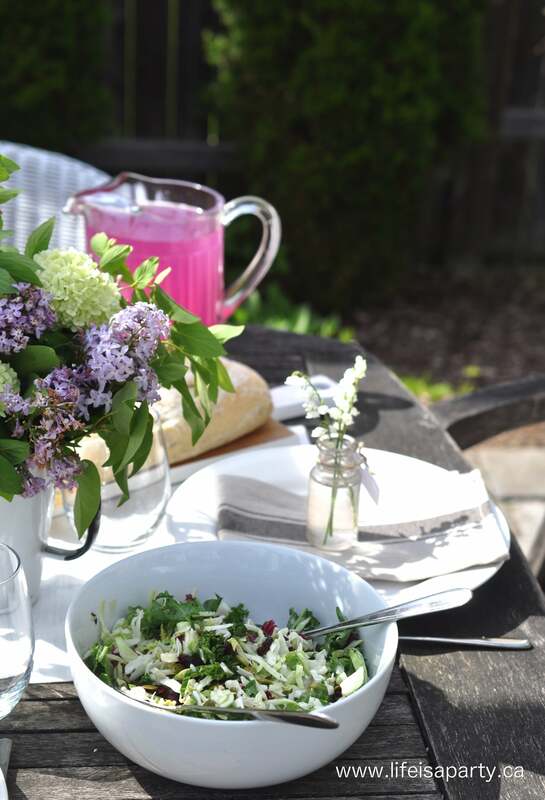 I used some pretty vintage mason jars and enamelware jugs for the flowers. 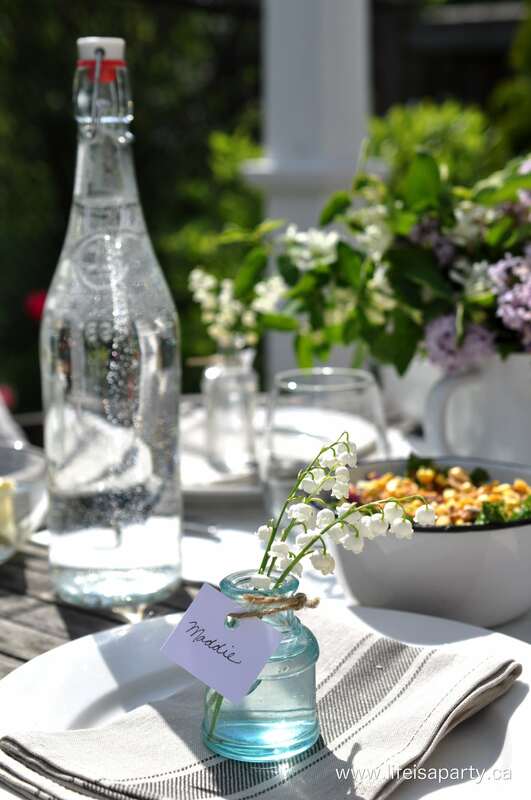 My favourite little detail for the table were the sweet lily of the valley placecard holders. I used some small vintage bottles that were an antique fair find last year, and tied on some card stock tags with a little twine. 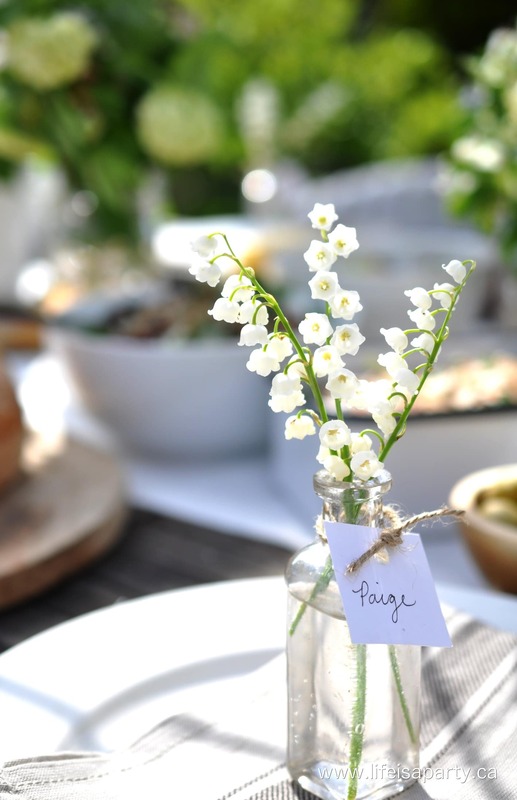 Lilly of the Valley were the perfect little flower to use in the vases, and they smelt divine. For our menu I wanted something easy, delicious, and healthy. 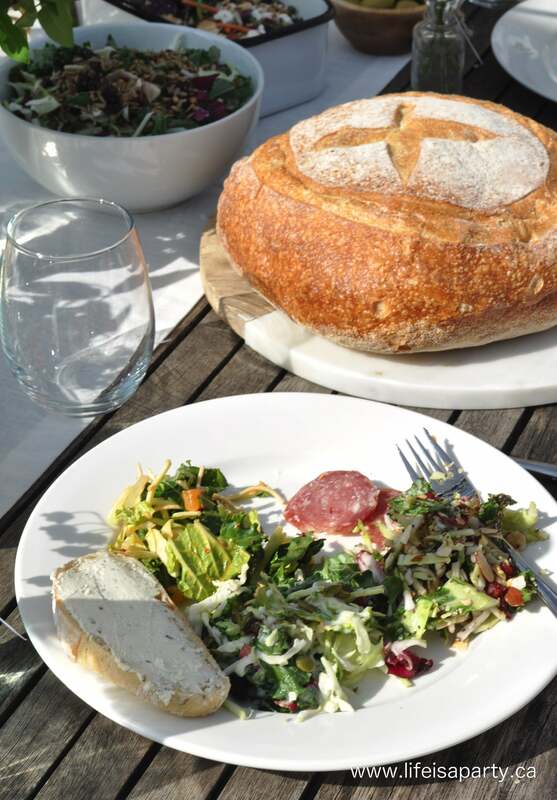 Eat Smart Salads were the perfect choice. I buy these Kale salad kits all the time. They’re so delicious and I love how convenient they are. 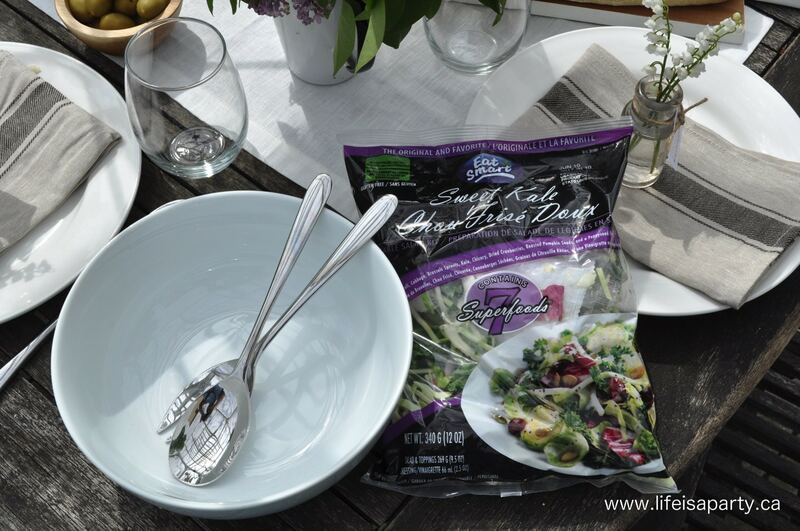 As a busy mom, I love being able to add the salad kits to any meal as a healthy side dish. 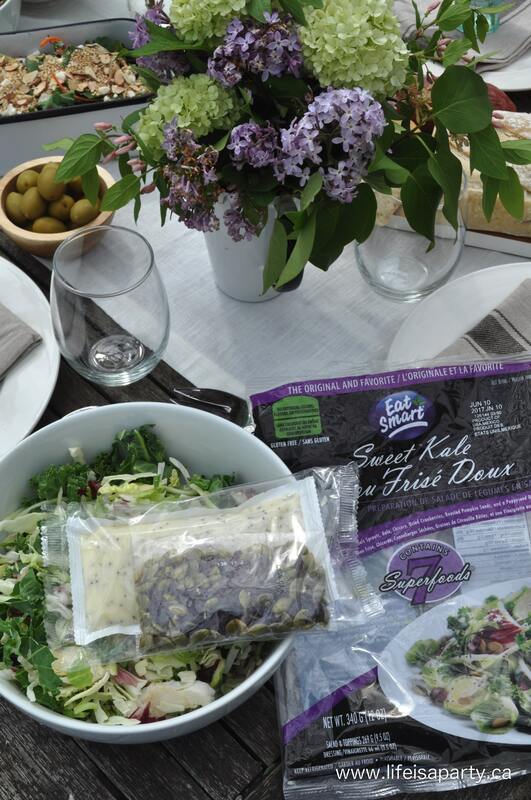 Each salad kit blends six or more superfoods, and has no artificial colors, flavors, or preservatives. For our dinner we had Sweet Kale, Strawberry Harvest, and Sunflower Kale. 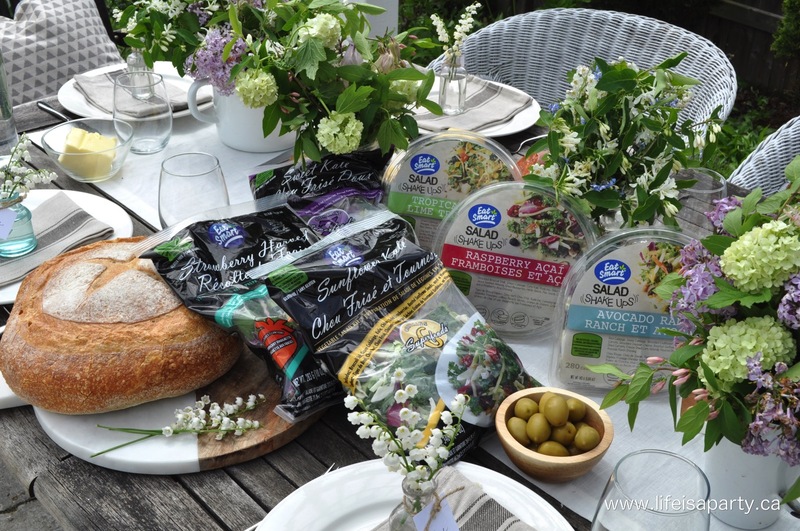 Eat Smart is the first brand in its category to commit to clean ingredients, with a plan to extend the no artificial colors, flavors, or preservatives to all of its products by the end of 2018. All Eat Smart products will be free from high fructose corn syrup, artificial preservatives, hydrogenated fats, as well as artificial colors, flavors, and sweeteners by the end of next year. I love that their easy-to-understand labels will list recongnizable ingredients that I can feel good about serving my family. 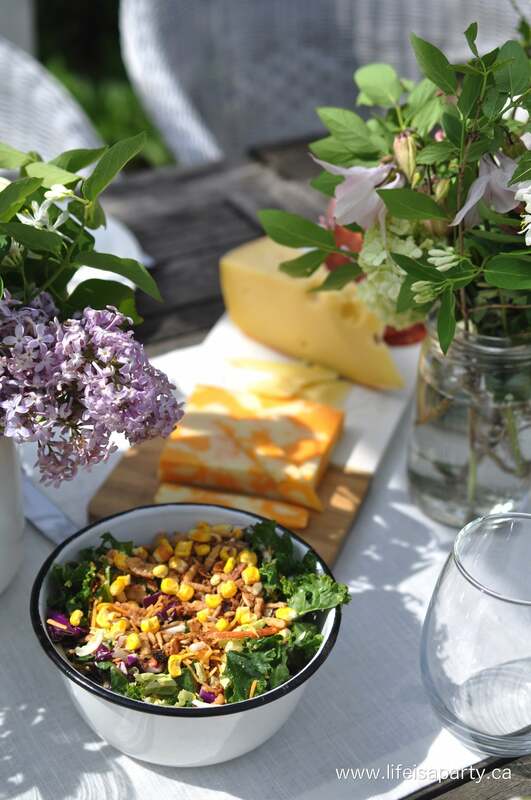 I also love that everything you need for the complete salad comes in the kit, including the salad blend, the dressing, and lots of fun and yummy toppings. 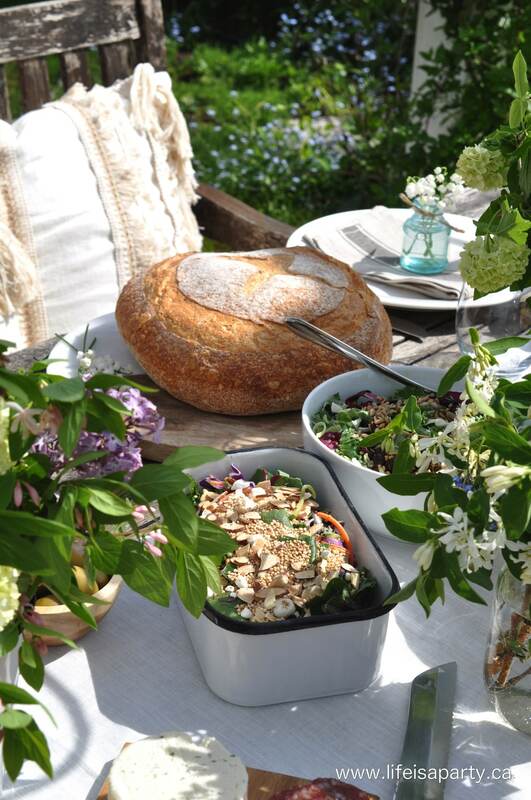 We also enjoyed the Salad Shake Ups -which have a great lockable lid for easy mixing, and deep bowl -perfect for on the go activities like trips to the beach this summer, or park playdates. With no artificial colors, flavors, or preservatives in these salads either, they are a great option for a superfood on the go. We tried Acacado Ranch, Tropical Lime, and Raspberry Acai -and they were all delicious! Be sure to check out the Eat Smart website, and sign up for their monthly e-newsletters. You can subscribe under “Receive Exclusive Offer” on the bottom right of website. 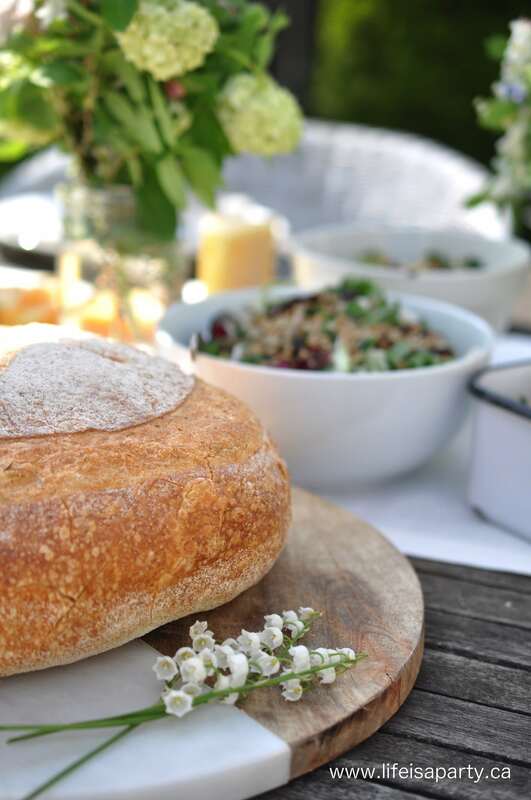 We paired our delicious and easy salads with some beautiful fresh bread, cured meats and cheeses for the perfect summer picnic. 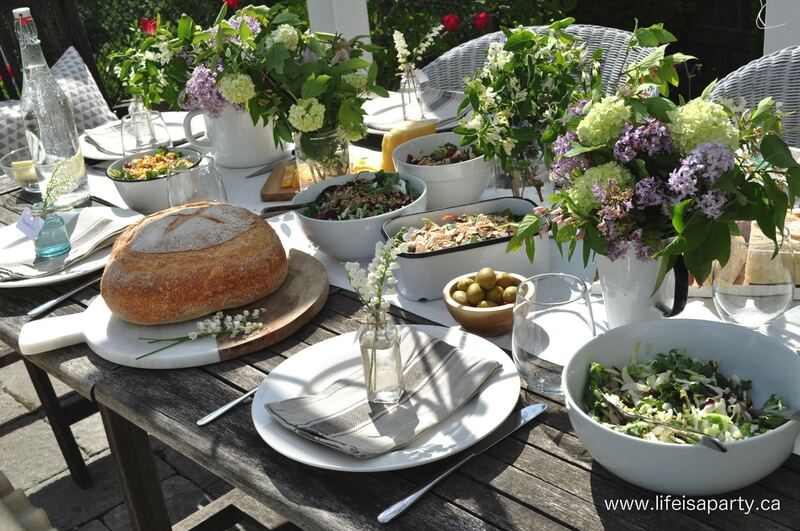 This is my favourite kind of summer entertaining -easy enough for the cook to enjoy the party too! 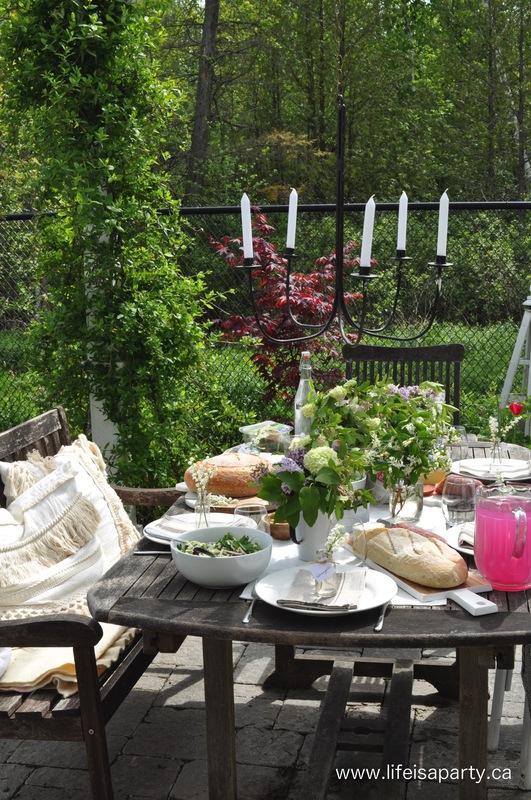 I’m so glad it’s warm enough to enjoy eating outside again. 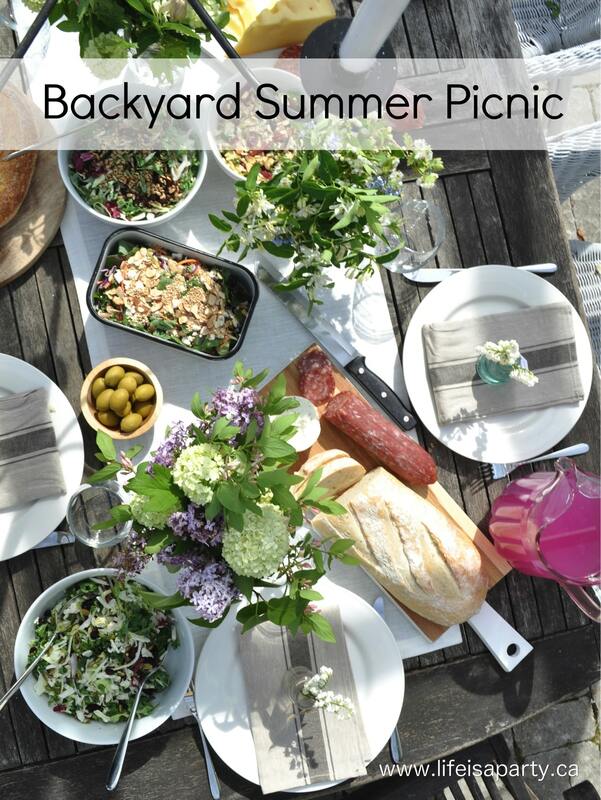 With a beautiful, healthy, and easy Summer Backyard Picnic, life really is a party! Looks so delish! I should have invited myself over for this meal. 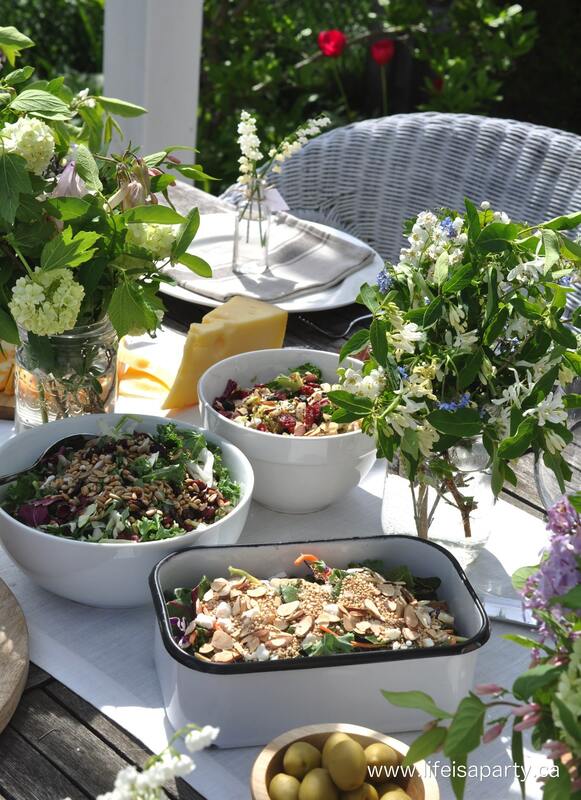 Those salads look amazing!